Is this an impossible concept to process, that 3-year olds now have to do homework after school? In the States, the New York Department of Education is advocating half an hour of homework a night for barely 4-year olds. Is the idea of stretching a child intellectually early a good thing or is the idea of more work after 6 hours at school healthy for such a young mind? Surely, we all know that young children learn through play? IN Finland children start school at seven, after being in state-funded nursery school, playing away happily. At 7 years old, they barely get homework. Finland believe in play-based learning. Even NY private schools start homework much later on, it’s the state schools that are stuck into a timetable of testing. Can such a young child concentrate so far into the evening on homework? The answer is probably not. A few years back Net Mums did a survey in the UK of how many children were given homework before they had even reached primary school and surprisingly, one in nine, three-year olds had been given homework from their nursery schools. 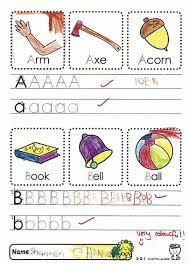 The homework included visual tests for numbers, collages for seasons and practising writing their own name. The National Day Nurseries Association stated that is always in the best interests of the child for nurseries and parents to share learning and development of the child. This is of course true that learning is not just the responsibility of the school, but surely that is a parent’s choice and not a homework-setting choice. In the same survey more than half of the parents were desperate for their children to go back to school and only a third saying they would miss them. Parents spend an average of 2 hours each week on school administration, filling in forms, washing and prepping school bags and helping at events. School used to be so simple and home life was separate. Now it is the opposite.